A number of advocates say they fear federal inmates are losing access to books and libraries, making it harder to improve their literacy skills and prepare them for reintegration into Canadian society after they’re released. Those advocates say a number of federal prisons are cutting library hours and library staff, limiting access to books. “Access to books is really important, and what we’re seeing is an erosion in access to books,” Correctional Investigator Howard​ Sapers told CBC News. Prisons across Canada are cutting back access due to budget cuts. Last year, the Saskatchewan Penitentiary in Prince Albert, Sask., didn’t extend a contract with the region’s library service, shutting down access for inmates. The library was open five days per week in the afternoons and evenings and inmates would borrow, on average, about 50 items per day. The program cost about $70,000 a year. 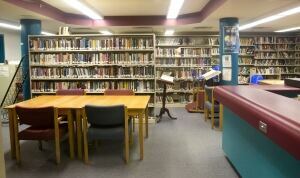 Several other institutions in Ontario and Quebec have seen library access restricted or cut entirely. 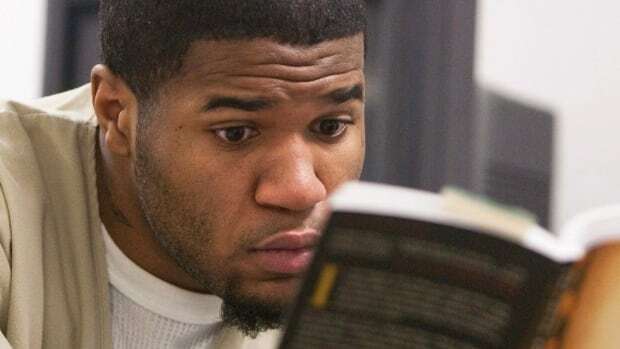 Advocates say reading material is vital for people living behind prison walls. There’s little to do to pass the time. Plus, many inmates need to improve their literacy skills for when they’re released. Libraries are one of the only ways to get books because inmates can’t keep much in their cells, and there are security risks with accepting books donated by family members. Reading is “a huge part of our development as human beings,” said Joan McEwen, a lawyer who has taught a creative writing class at the Matsqui Institution near Vancouver. Pro-social is a term used often by those working with inmates. It refers to positive behaviours, and it’s something the Correctional Service of Canada aims to cultivate in inmates before they’re released. Sapers said reading helps prisoners in their rehabilitation. “The average level of educational attainment is Grade 8 or lower, but you need Grade 8 or higher literacy skills to successfully participate in most correctional programs,” he said. Carol Finlay, a former English teacher and an Anglican minister, started her first book club in the Collins Bay Institution in 2009. By the end of this month, she’ll have 17 book clubs operating at 14 prisons across Canada. “When we go into the prisons, we see fellows who are starved for stimulation because you can’t take university [courses] unless you’ve got family to support you. Community college courses are very limited,” Finlay said in an interview with CBC News. Finlay said the book club also brings together inmates who might otherwise be associated with rival gangs and not get to know each other without some kind of social activity to bring them together and talk. She said she wants to give the inmates an opportunity to talk about “the big issues of life” and apply the social skills they’re learning through the courses mandated by CSC. “They really, really love that. They love that and they learn to do it in a respectful way. They listen and they speak to one another in a respectful way. We teach them how how to do that, how to have a civil conversation,” Finlay said. A spokeswoman for the Correctional Service of Canada said library services are still available in all federal institutions. “The Correctional Service of Canada (CSC) recognizes the benefits of education and literacy which provides offenders with greater opportunities to participate in other programs offered by CSC and to become law-abiding citizens,” CSC spokeswoman Sara Parkes wrote in an email. While inmates are provided an hour of exercise every day, Parkes said there is no stated minimum for hours of access to libraries. But the need is there, according to a woman who has volunteered in federal and provincial institutions. Kirsten Wurmann has been making sure people behind bars get books since 2007, first at a federal institution in Edmonton with the Greater Edmonton Library Prison Library and Reintegration committee, and then in Winnipeg at its provincial remand centre, through the Manitoba Library Association Prison Libraries committee. Wurmann said the inmates appreciate having access to books and recalled one man who took his time carefully examining every book she’d brought in. “I was asking, ‘Do you need some help finding something? Is there a particular author you might be interested in?’ and he said, ‘Oh, I don’t read, but my roommate is going to read to me,’ ” Wurmann said.